The maritime industry has deep roots in Connecticut, having long played a central role in the state and national economy. Connecticut’s three deepwater ports (Bridgeport, New Haven, and New London), as well as our coastal harbors and rivers, all make important contributions to the State’s jobs, economic activity and tax revenue. The Connecticut Port Authority is reestablishing maritime commerce as an essential cornerstone of our state’s economy by making necessary improvements to the infrastructure at our ports and small harbors and strategically investing in high-potential growth areas. 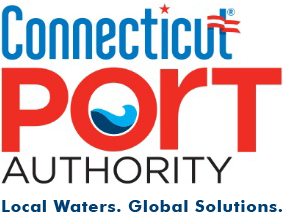 The Connecticut Port Authority is a quasi-public agency created in 2014 that is responsible for marketing and coordinating the development of the state’s ports and maritime economy. The creation of the Connecticut Port Authority represents a major commitment to invest in the state’s port infrastructure to create jobs and attract private investment to the state. We envision a future where a thriving maritime economy is driving steady economic growth and creating new jobs across Connecticut. It is the mission of the Connecticut Port Authority to grow Connecticut’s economy and create jobs by strategically investing in the state’s three deep water ports and small harbors to enable each to maximize its own economic potential.